Providing a maximum load of up to 400 kg, the Taurus commercial weight bench B950 offers a high safety even when using heavy weights. The sturdy frame and the wide feet guarantee stability. 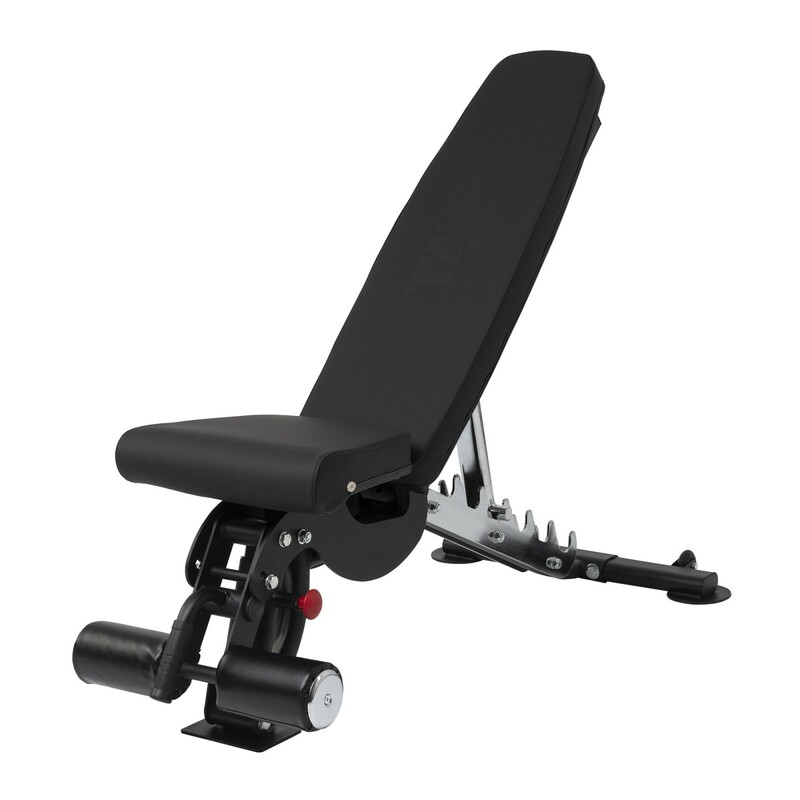 The Taurus commercial weight bench B950 is suitable for the in fitness gyms as well as for the fitness room at home. You can do many exercises with the Taurus commercial weight bench B950. That's ensured by the seven times adjustable backrest and the four times adjustable seat. The B950 is a F.I.D. weight bench. That means: it can be used as flat bench (F stands for flat), as incline bench (I stands for incline) as well as as bench for negative bench press (D stands for decline). The backrest can be adjusted to the upright position with an almost right angle. The little extras provide comfort before and after the training. On the rear feet, there are transport wheels. 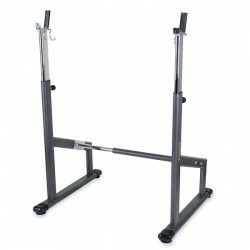 Lift the Taurus commercial weight bench B950 on the other end on the handle and just move it to the desired place. The upholstery is comfortably thick. The seat upholstery is ergonomically shaped. In front, there are additionally mounted padding rolls, so that you get more stability while working out. 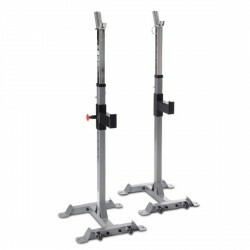 Excellent piece of equipment very stable and gives very good support if lifting heavy weights. Like it says in the advert it is well capable of supporting weight up to 400Kgs. Without doubt one of the best benches I have come across including the ones in my local gym. Great stability and kvality! Very easy to assamble. 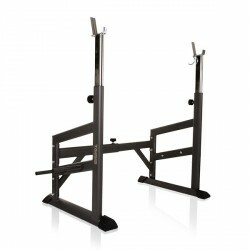 Taurus barbell rack X2 Pro In stock! 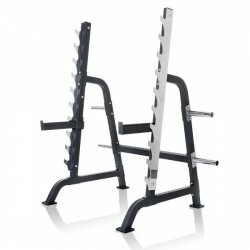 Taurus Squat Rack In stock!